Add a contemporary feel to your bedrooms with Duralco wardrobe doors. Our wardrobe doors have sleek aluminum profiles that and Belgian mirrors or wood veneer to give that elegant premium look. Make the most of your home's space by using them as room dividers . With its concealed nylon bearing rollers that glides with minimal effort, you can be sure everything runs smoothly for a lifetime. 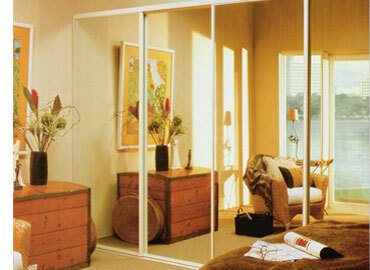 Unbelievable price on Wardrobe Doors in Quezon City (Philippines) company Duralco, Company.